Its Wrap Up Time for Aadhi Bhagavan! Maatraan Audio Launch in Singapore? 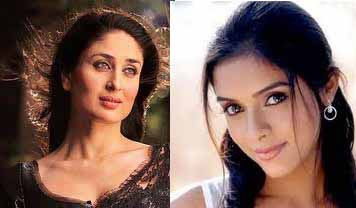 Actor Asin and Kareena jointly rule Bollywood’s 100 Cr club! The protagonist in Aadhi Bhagavan, Jayam Ravi, has confirmed that the shooting of the film has been wrapped up in Bikaner, Rajasthan. Director Ameer and the rest of the team were intent on wrapping up the film with this schedule and have achieved it. Aadhi Bhagvan has been in the making for long and now with the filming completed, the post-production is expected to begin soon. Neetu Chandra plays the female lead in this flick. Politician-producer J Anbazhagan is producing this film for which Yuvan Shankar Raja has scored the music. Details as to the film's release date will be announced soon, it is expected. According to sources in the tinsel town, the audio launch of Maatraan is scheduled on August 9th in Singapore. This Suriya starrer is one of the most expected films of the year as movie buffs will get to see the star in dual roles; particularly as conjoined twins. This is a very novel attempt by director KV Anand and the audiences are simply going to love the way the film has been picturised, states sources. There are reports that the filmmakers had chosen August 9th to release the audio because it happens to be a national holiday in Singapore. More details about this audio launch and the celebs likely to participate will be announced soon, we hear. Her AL Vijay directed Chiyaan Vikram starrer Thandaavam is getting ready for release, while her Shankar directed I shooting is going on in Chennai. She has offers pouring in from Tamil and Telugu filmmakers. However, Amy the Liverpool girl prefers to stay in her rented apartment in Bandra in Mumbai with her Ek Tha Diwana co-star Prateik Babbar, with whom she is in a relationship. Remember her Bollywood career failed to take off after her Hindi debut film with Prateik bombed. Last week Amy was in Chennai shooting continuously for days with Vikram for Shankar's I. For the weekend she wentback to Mumbai to be near Prateik. Today morning she is back in Chennai for the trailer launch of her Chiyaan Vikram starrer Thaandavam. If Amy is serious about a career in south films, she should stay put in Chennai. Last weekend was memorable for Asin. Her new release Bol Bachchan touched Rs102 Crore and joined Bollywood's exclusive Rs 100 Cr club. For the girl from Kochi it is nothing new as Bol Bachchan is her fourth film after Ghajini, Ready and Housefull 2 to join the elite club. Asin now shares the top spot with Kareena Kapoor who too has four films that figure in the 100 Cr club- 3 Idiots, Golmaal 3, Bodyguard and RA One. Asin in an earlier interview had said: "I am not bothered about numbers, I am happy that it happened with my films. It is not that I was expecting it to happen; it is not in my hands. I enjoyed doing my part". Today Asin, is the biggest success story of a girl who made her debut in south Indian films making it big in Bollywood. Down south she has an awesome strike rate at the box-office. Nearly 90 % of the films which she has acted in Tamil and Telugu over a period of five years were super hits. In Bollywood out of five releases (Ghajini, London Dreams,Ready, Housefull 2 & Bol Bachchan) only one has failed. Today four of her films feature in the Rs 100 Cr club, which is simply amazing. Asin in an exclusive interview to PTI said: "I am happy I have come this far here (Bollywood) on my own without godfathers, grandfathers or millionaire boyfriends. It is rare for an artist to get acceptance by the north as well as the south audiences, and I have thankfully managed that." Her detractors say that she had "oodles of luck at the box-office." But industry pundits believe that it is a combination of making the right choices of commercial films, hard work and fiery determination to reach the top. Asin is still one of the hottest actors in the endorsement circuit, a proof that she has tremendous reach and goodwill among the millions. Vijay and Prabhu Deva became good friends after working in films like Pokkiri and Villu and continue to hang out. In fact, Vijay even shook a leg for Prabhu Deva's film Rowdy Rathore with Akshay Kumar. Currently, Vijay is working in Thuppaki and Prabhu Deva has started work on his next Hindi film with Shruti Haasan and Girish. 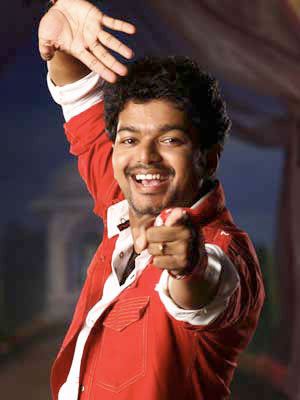 Prabhu Deva was delighted when Vijay dropped in to visit him at his new house in Mumbai on sunday evening. The two buddies had a great time catching up with each other. We hope they are planning to work together on a film again. It will be a delightful treat for the fans. Harris Jayaraj has delivered the master copy of Suriya's KV Anand directed Maatran music audio to Sony Music. The Maatran music was mixed and mastered in US, for the first time by Harris. Sony Music is gung- ho about Maatran audio, which they feel will be chartbuster. There are five songs in the album and as per sources it is sure going to rock.